Boston, MA – (June 6, 2018) – The 2018 BIO International Convention, the world’s premier life sciences event, entered its third day of compelling programming under the theme “Make History.” Hosted by the Biotechnology Innovation Organization (BIO), the Convention will run through Thursday, June 7, at the Boston Convention & Exhibition Center. 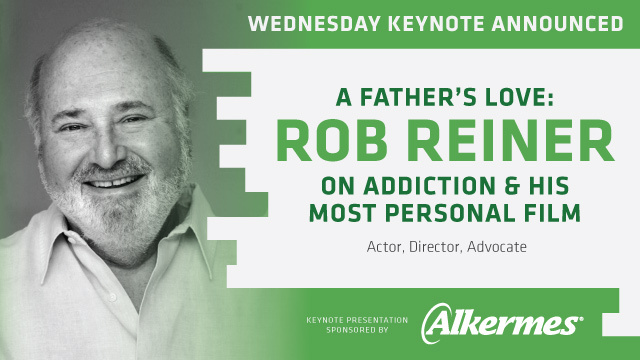 During today’s keynote, Jim Greenwood, President and CEO of BIO will interview actor, director and advocate Rob Reiner, who will share his poignant story of helping his son overcome his battle with drug addiction. During this week’s Convention, industry leaders and researchers are gathered to discuss strategies to stem the opioid crisis and progress in discovering next-generation non-addictive pain therapies. Following the keynote, multiple sessions will focus on digital health, patient access and delivering value to patients. A special performance by Diana Ross at Ballroom Level will cap off day three of the Convention. The exhibit hall will feature the BIO Patient Advocacy Pavilion with 62 separate patientadvocacy organizations there to share perspectives and learn more about drug discovery and clinical development initiatives, enrollment optimization, clinical protocol and trial design. Join us for a fireside chat with former Massachusetts Governor Deval Patrick. Start-Up Stadium was designed to provide start-up companies with the opportunity to engage key members of the investment community, venture philanthropy groups, and BIO attendees. Stop by Start-Up Stadium between education sessions or meetings to watch these impressive companies pitch their products to a panel of investor judges. A fireside chat with John Maraganore, PhD, CEO at Alnylam Pharmaceuticals. Dr. Maraganore is leading Alnylam as they prepare to launch the first RNAi therapy. Prior to joining Alnylam, he held senior leadership roles at Millennium Pharmaceuticals, Biogen and ZymoGenetics. Fireside Chat: Mikael Dolsten, MD, PhD, President, Worldwide Research and Development, Pfizer, Inc.
A fireside chat with Mikael Dolsten, MD, PhD, President of Worldwide Research and Development at Pfizer. Dr. Dolsten is focused on advancing Pfizer’s scientific leadership in small molecule medicines, biotherapeutics and vaccines. 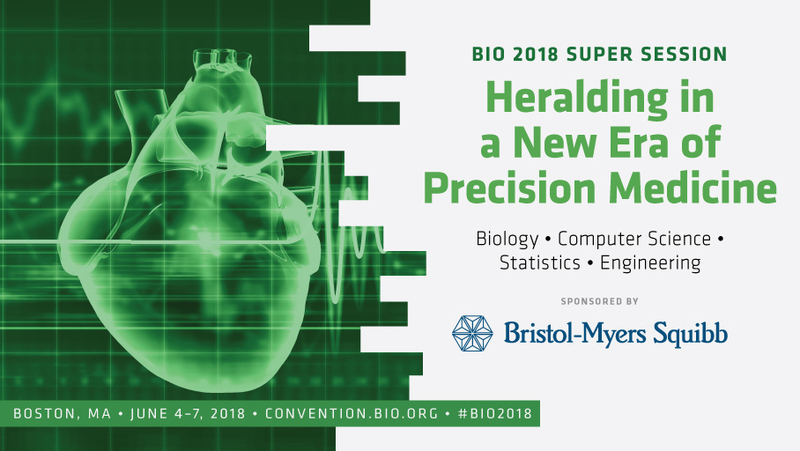 BIO One-on-One Partnering isn't the only aspect of BIO 2018 that is making history! This year, we have more speakers, more sessions, and more programming options than ever before at BIO 2018 in Boston including 180+ sessions, 850+ speakers, 8 Super Sessions, and 9 Fireside Chats in 19 Education Tracks. Below you can find a list of some can't miss sessions in our most popular tracks. Take a look, and add the sessions you want to attend to your personalized myBIO agenda! Note: Most Education Sessions are open to Education Access and above registrants. Improving the Odds for Success: How Can We Provide Needed CNS Breakthroughs? Mapping the Brain at the "Speed of Thought"
Will Preclinical Companies Continue to Command Premium Valuations and Access to Capital in a Less Robust Market? Global Leadership Forum: Is Biotechnology Innovation Globally Sustainable? The biotechnology industry is becoming increasingly global.  The 2018 BIO International Convention brings the global industry and policy leaders to Boston, Massachusetts. Join us at the Emerging Opportunities in Global Markets track to interact with high level government officials as well as industry experts and leaders from Europe to China on the various opportunities and challenges facing the industry. Log in to myBIO and add these sessions to your personalized event schedule. Can Boston’s DNA be Replicated Globally? Is Biotechnology Innovation Globally Sustainable? Trump Trade Policy: Risk or Opportunity? Join us to bridge innovation, enterprise and culture from Boston to China. The Summit will examine recent watersheds in China’s regulatory, policy, and industrial reforms positioned to create a globally competitive biopharmaceutical industry in China, as well as successful models for cross-border alliances and partnerships. This track features substantive and high-level discussions on specific initiatives at the national or regional level to support biotechnology innovation. View all sessions in this track. Join us as we explore one of the world’s leading biotechnology hubs in a full day of tours throughout the Massachusetts biotech community. Attend one of the site, lab, and incubator tours arranged by BIO and the Massachusetts Life Sciences Community. Sign-ups are first come, first served and spaces are extremely limited. Most tours are held on Monday, June 4, and the $35 fee covers transportation to and from the Boston Convention & Exhibition Center. Separate registration is required. Rob Reiner first came to fame as a two-time Emmy Award winning actor on the landmark television series “All In the Family.” He went on to become an acclaimed director of some of the most popular and influential motion pictures. His work ranges from the satire This Is Spinal Tap to intense dramas like Stand By Me, Misery, A Few Good Men, and Ghosts of Mississippito romantic comedies like When Harry Met Sally, The American President,and The Princess Bride. His more recent films include The Bucket List, Flipped, Being Charlie and LBJ starring Woody Harrelson. This summer sees the release of Shock and Awe, about four journalists who try to expose the lies told in the run up to the war in Iraq. It stars Woody Harrelson, Tommy Lee Jones, James Marsden and Reiner himself. Reiner is also a vigorous political activist and was instrumental in establishing the California Children & Families Commission, which he chaired for seven years. Learn more about our impressive keynote speaker, and watch his keynote live at BIO 2018 on Wednesday, June 6 at 9:00am. Keynotes are open to Convention Access and Convention Access and Partnering registrants. Access everything the BIO International Convention has to offer including 45,000+ meetings between 6,000+ companies in BIO One-on-One Partnering™, the expansive BIO Exhibition, impressive networking receptions including Diana Ross in concert, keynotes, 170+ breakout sessions, 8 Super Sessions and 9 Fireside Chats. This is the premier registration package, and gives you access to the BIO Business Forum. The use and misuse of opioids is a public health crisis. Over 2.5 million in the United States have an opioid use disorder and over 80 people die each day of an overdose. Furthermore, four out of five individuals begin using heroin by first misusing opioid prescription drugs and there are over 200 million opioid prescriptions written each year. In additional to the cost in human lives, the financial cost of substance misuse is staggering. The cost to federal, state, and local governments is $467.7 billion per year; the cost to public and private medical insurers is $72.5 billion; 5.2 million people use opioids annually generating $8 billion in annual opioid sales. Inappropriate prescribing is the fundamental upstream driver of the opioid epidemic. This one day program will discuss opportunities and solutions that the biotechnology industry can provide to help curtail this epidemic. Don't miss the most influential global leaders in biotechnology and pharma discussing innovation, vaccines, gene therapy, precision medicine, and the 2018 global forecast in this year's lineup of Super Sessions at BIO 2018! Explore the sessions below, and add the ones you want to see to your personalized myBIO agenda. Check back often as additional speakers are confirmed! Super Sessions are open to Education Access, Convention Access, and Convention Access + Partnering registrants. What’s next for R&D in the global pharmaceutical industry, highlighting noteworthy differences in disease areas of focus, and therapeutic targets for companies of all sizes. Explore the similarities between running a successful biotech company and a football franchise: team building, collaborations, innovation, leadership, culture, and more. Sponsored by: Merck & Co., Inc. The opportunities and challenges facing vaccine developers and manufacturers and the importance of continued innovation in vaccines. Deal makers explore the impact that market forces have on pharmaceutical and biotech companies. Improving human health, potential treatments and cures for disease, and new approaches to drug delivery. The intersection of biology, computer science, statistics, and engineering and the future of precision medicine. How are advances in hardware, software, and mobile technologies reconstructing the delivery of healthcare? The latest commercial, scientific and ethical issues facing innovation stakeholders today, and what to expect in the year ahead. Kevin Ali, President, MSD International, Merck & Co, Inc. The expansive BIO Exhibition is packed with the latest trends, technology, companies, and breakthrough ideas in biotechnology and pharma. We have over 1,800 exhibiting companies including 50+ Domestic and International Pavilions and 4 Product Focus Zones like the brand new Emerging Innovators Zone, as well as special areas in the BIO Exhibition such as Company Presentations, Headshot Lounge, Meetups, and more! Join us for another record breaking year! Explore the BIO Exhibition, preview the schedule, and take a look at who you can meet in Boston next month. *Note: BIO Exhibitor Hospitality Receptions are from 5:00 - 6:30 pm on Tuesday. Stop by and see these participating companies. 3Sixty Pharma Solutions is the industry’s only clinical research-to-commercialization solution. We provide functional and consulting services to Pharmaceutical, Biotechnology, and Medical Device companies. Our highly-experienced Experts and Project Managers are nimble innovators and problem-solvers: we repair projects, fix processes, manage business-critical ventures, and tailor transformative solutions that foster sustainable change. Let’s start a conversation about how we can help reinforce your efforts to advance cutting-edge patient care. Alkermes plc is a fully integrated, global biopharmaceutical company focused on developing innovative medicines for the treatment of chronic central nervous system diseases and cancer. The company has a diversified commercial product portfolio and a substantial clinical pipeline of product candidates for chronic diseases that include schizophrenia, depression, multiple sclerosis and cancer. Alnylam is leading the translation of RNA interference (RNAi) into an innovative new class of medicines with the potential to transform the lives of people with rare genetic, cardio-metabolic, and hepatic infectious diseases. Alnylam’s pipeline of investigational medicines includes four late-stage product candidates, with one under regulatory review in the US and Europe. Bio-Rad has partnered with Drug Discovery, Development, and Manufacturing researchers for over 60 years, delivering innovative solutions that support scientists with customizable workflows. Learn how we provide research solutions that truly enable you to get to market faster with the right molecule while reducing downtime, errors, and waste. Cipher is a full-service competitive strategy and technology firm. We provide world-class consulting services and technology solutions that help Life Sciences companies gain and maintain a competitive edge. Our latest technology innovation, Knowledge360® is an all-in-one, cloud-based competitive intelligence solution that automates the collection and organization of information, allowing users to collaborate in real-time to develop strategic insights. As a CDMO our focus is to combine technical leadership in cell culture, microbial fermentation and viral vectors with world class GMP manufacturing facilities to advance tomorrow’s medicines. We have delivered over 310 molecules including monoclonal antibodies, recombinant proteins, viral vaccines and gene therapies at all stages of the clinical development. We have completed 26 Process Validation programs and are licensed to manufacture 6 commercial products. We have facilities in College Station, Texas, RTP, North Carolina and Billingham, United Kingdom. Come visit us at Booth 1806 to learn more! Merrill DatasiteOne - The only SaaS application for due diligence. DatasiteOne helps companies worldwide close more deals, faster, with the strongest combinations of deal making and reporting support. For the first time, organizations can carry out, from beginning to end, essential business communications, execute critical transactions, and meet global regulatory requirements — all via a secure, controlled and easy-to-use platform. Since 2008, the BPI Theater, located at the heart of the BioProcess Zone, provides biopharmaceutical professionals with a dedicated destination to meet, network, listen and learn about the latest scientific, technology, business, and financial trends impacting biopharmaceutical research, development, and manufacturing. This brand new area in the BIO Exhibition showcases independent small and medium-sized enterprises that are post-$10M investment. The “open-air market” atmosphere allows attendees to freely engage with companies who are further along in their company life cycle to exchange ideas and information to achieve continual stages of growth.